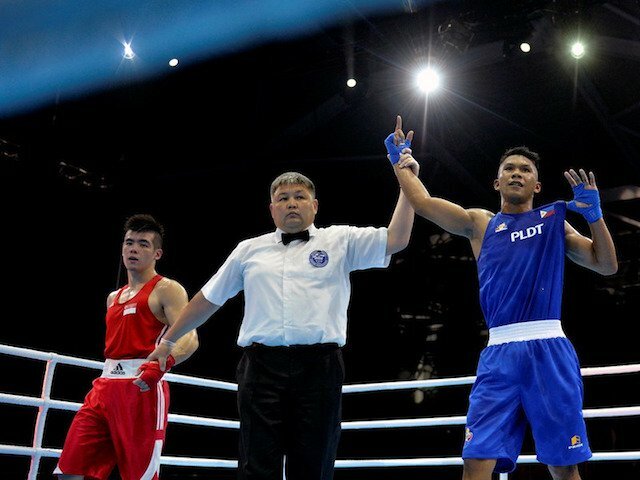 The Association of Boxing Alliances in the Philippines is sending a full deck of boxers built to sweep the gold medals in the 29th Southeast Asian Games. There are only six weight categories in the Kuala Lumpur SEAG next month and Abap executive director Ed Picson said they’re fielding in a complete lineup headed by lightwelter weight Charly Suarez, middleweight Eumir Felix Marcial and bantamweight Mario Fernandez. Flyweight Ian Clark Bautista, light heavyweight John Marvin and light-flyweight Carlo Paalam are also expected to vie for the golds after Abap president Ricky Vargas had told the team that losing would definitely be unacceptable.